germs and restore its good condition. However, deep cleaning two properties can take several days and drain all your energy. Thankfully, there is a convenient solution to get this job done without spending hours scrubbing the floor. Thanks to our end of tenancy cleaning service you can have any property deep cleaned in a matter of hours. 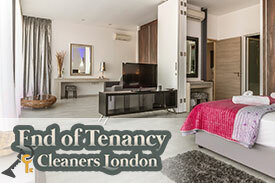 Our end of tenancy cleaning service is unmatched when it comes to quality and its price is very good as well. Many end of tenancy cleaning services in London are overpriced, but we do our best to maintain our low prices without reducing the quality of our service. We know how responsible our job is and this is why our employees are instructed to carefully examine every inch of the property and make sure that there isn’t any dust or grime left. Although we offer many other cleaning services in Chiswick, end of tenancy cleaning is one of our specialties and we’ve done our best to improve the reliability and quality of this service. It is carried out by a specialized cleaning team which consists of several experienced and trained cleaning operatives. We supply them with the necessary equipment and cleaning chemicals, so you don’t have to provide any cleaning materials. The service is available to all residents of London and thanks to our flexible work hours, we can work with clients who have a busy schedule. The flexibility of our service should be mentioned as well. Basically, we give you the opportunity to tailor the service and include or exclude different cleaning tasks. 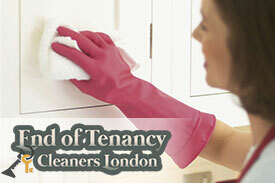 This way, you can build your very own post tenancy cleaning in Chiswick that completely meets your budget.